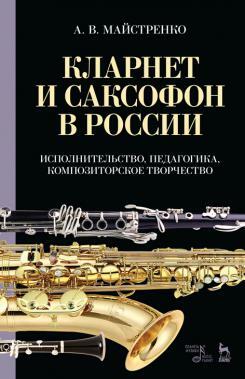 This work summarizes the historical experience gained by Russian clarinet and saxophone playing; it provides information on the most prominent teachers and indicates works written for these instruments or with their use. The book collects and summirizes materials published in special works, periodicals, memoirs, archival documents kept in the collections of the Russian State Historical Archive, the Russian State Archive of Literature and Art, the Archives of the Directorate of Imperial Theaters, the Glinka State Central Museum of Musical Culture, the archives of the St. Petersburg and Moscow conservatories. Section "Encyclopedia of clarinet and saxophone" contains brief biographical information about more than 400 performers and teachers of the Russian Empire, the Soviet Union and Russia. В. А. Гуревич - почётный работник высшего музыкального образования РФ, доктор искусствоведения, профессор кафедры музыкально-инструментальной подготовки РГПУ им. А. И. Герцена, секретарь Союза композиторов России.